Applying the proper blend of nutrients to produce a lush, green lawn all season long. This program helps protect your family and pets against harmful insects, allowing for carefree enjoyment of your outdoor living space. We are family owned and easy to work with. If you have a question, want a free quote or to pay your bill, we are ready to serve you. Why Choose Weed & Feed Lawn Care? 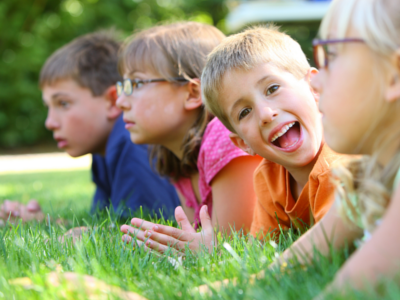 We’re a locally-owned, family business providing lawn care to Grand Rapids and the West Michigan area since 1969. 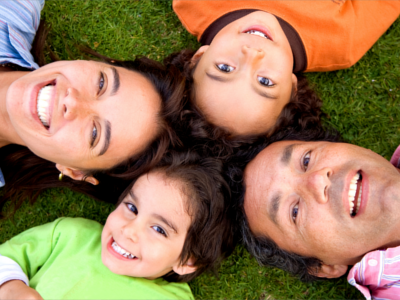 We believe in knowing our customers, their needs and treating them as one of our own family. We are not a nation-wide corporation, but your friend and neighbor. We can care for your lawn for nearly the same cost as doing it yourself, but without the hassles. Our many years of experience means that working together, we can make you lawn the best it can be. We also provide free service calls to any of our full application customers. Your lawn has special needs at different times throughout the year. We know exactly what these needs are and how to provide the best care. Our custom lawn care services are applied on a schedule to maximize your lawns health and beauty. If you’re not satisfied… We’re not Satisfied! 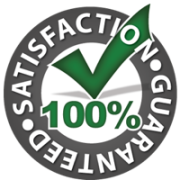 We back all of our lawn care services with a 100% satisfaction guarantee. It’s important for us to have satisfied customers.